Coming into the year, I had the Buccaneers listed as one of the worst teams in football. Their roster lacked absolutely no talent on paper. But then the buccaneers came out in week 1 and stunned the nation. Playing against a top tier defense, quarterback Ryan Fitzpatrick threw for over 400 yards and had 5 total touchdowns. Most people thought of his performance as a fluke, myself included, but the next week against equally as good a defense he throws 4 touchdowns and over 400 yards. 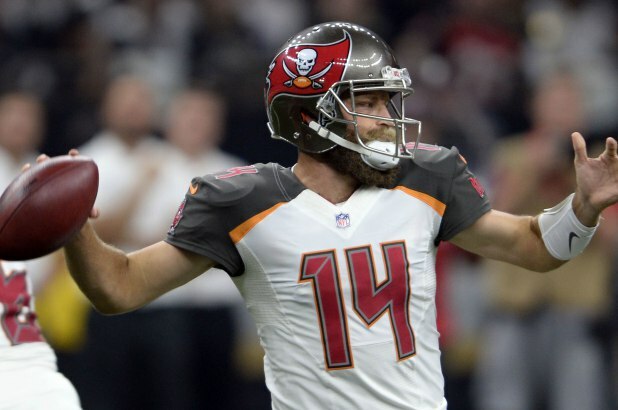 Although the defense still has some gaping holes, and the run game needs to be picked up, Ryan Fitzpatrick is showing the nation that he is still the quarterback that threw 6 touchdowns and almost lead a Jets team to the playoffs. I hope Fitz-Magic stays consistent throughout the year. I hear it over and over again. The window is closing for some teams to win a championship. A team can have talent, only for so long. Teams must take advantage of the dominant team that they have and win a Super Bowl, but the Pittsburgh Steelers closed their own window. Having Le'veon Bell holdout and not improving their defense in the draft caused their team to spiral downward into the pre-Madonna team filled with plenty of drama that news reporters salivate to. After tying to the Browns and getting torched by the up and coming Kansas City Chiefs, the Pittsburg Steelers are going to need a mid-season comeback in order to win their division. But the team, as of right now, will not win a Super Bowl or even compete for one. I am a very positive guy. I like to see what teams have done well during the season. The Buffalo Bills and the Arizona Cardinals have done nothing right. 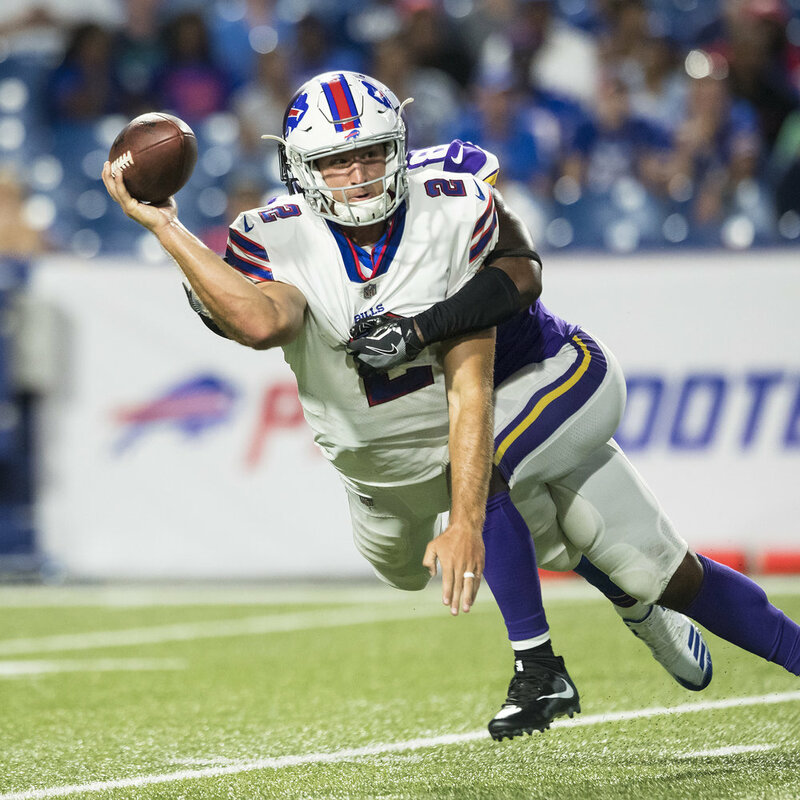 The Bills open up the year with a transformed defense featuring young talent such as Tremaine Edmunds and Tredavious White, along with veteran presence like cornerback Vontae Davis. Well they got absolutely demolished by the Baltimore Ravens (mostly because of Nathan Peterman). Next week they face the San Diego Chargers and get destroyed by them too. Whatever it is, the Bills need to figure out what’s wrong. And for the Cardinals, the answer for their problems is simple: the offense cannot do ANYTHING. They have scored 1 touchdown in two games, and it was a garbage time touchdown. Sam Bradford has shaped out to be a disappointment for the Cardinals, and I hope they make the change at QB soon, or else the Cardinals will be on the clock for the first overall pick. As I said before: The Raiders will regret their decision to not resign Mack. Already, he has 2 sacks, 2 forced fumbles, an interception and a touchdown. He himself, has outperformed the Raiders defense already. As a huge Aaron Rodgers fan, I will have to admit that the Bears should’ve won that game in Green Bay. And the Monday night win against Seattle proved their dominance. It is all because of one super human that shaped this defense into a top 3 defense. NFC North watch out, the Bears are the next up and coming team. The world went Jimmy G crazy after he was traded to the San Francisco 49ers. He became an instant household name after winning the 49ers five games in a row at the end of the year, but I didn’t buy into the hype. I knew the defense did not change. I knew Garropollo can’t carry a whole team, he’s not that experienced yet. The admirations niners fans had of a playoff run, does not seem realistic anymore. After being dominated in week 1 by the Minnesota Vikings, the 49ers almost let the Detroit Lions beat them in the final seconds of the game. 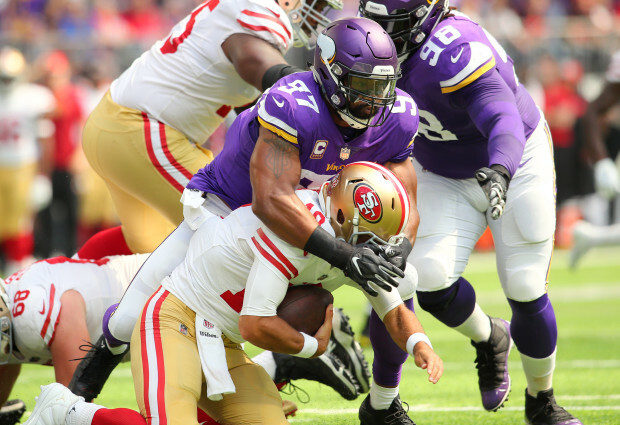 The team must improve their defense before they can be listed as Super Bowl contenders as many had acclaimed them to be at the beginning of the season.